Defenses, limiting beliefs, excuses, fear, ego's self-centeredness, victimhood, old programming, addictions, self-sabotage, unconscious reactions, negativity, weaknesses, ... and the list goes on. 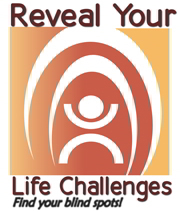 We all have life challenges, and the key is identify and clear them. Our life time of old programs block our awareness, intuition, creativity, authenticity, life purpose, spirituality, energy, potentials, meaning, wisdom, abundance, ability to manifest the peace and happiness you deserve, .. and this list goes on also. All of this is naturally waiting for us on the other side of our numerous, ignored life challenges. And this is a fact - Half the battle of healing these blocks is just knowing what they are - bringing them into our awareness. 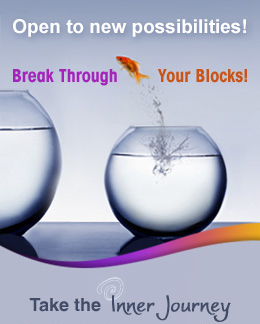 Are you ready to know what filters and blocks you from experiencing a better life right now? your automatic defences that stop you from experiencing reality, truth and what is. the tricky, self-centered ego that controls and manipulates. Our main purpose in life for most of us is to make transparent the distortions caused by the subconscious mind so we have a direct connection to love, beauty, power, higher guidance and wisdom. Peel back your onion. Uncover your life lesson. When you are done with this short series of emails, you will have a "Hot List" in order of priority of the things to overcome and stop getting what you want. Life is mainly about unlearning. Each of us is like a boat in the middle of the river with 100 anchors stuck in the mud, stopping the boat from moving. Identify and in some cases release the anchors so your motorboat is finally mobile. 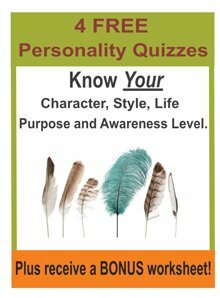 Enter your first name and email address below to receive a one page worksheet and our lists of life challenges so you truly know yourself and lead a more confident and happier life.